Or 2.4% for up to 60 mos. New 2019 QX60 PURE. VIN:5N1DL0MN8KC561977. Model 84519. 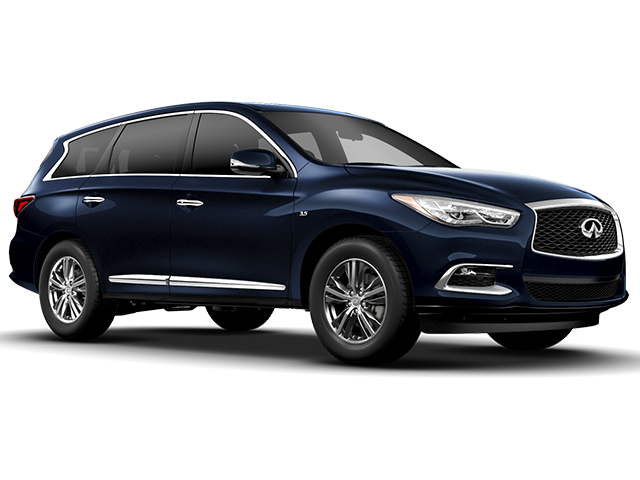 Lease the 2019 QX60 PURE for $399/month for 39 months, 10k miles per year. Zero down payment excludes $700 acquisition fee, 1st months payment, state and local tax, tag, title, registration and license fees, and $995 dealer fee. Price includes owner loyalty rebate. No security deposit required. Two or more vehicles available. MSRP $45470. Must take delivery from new retailer stock. Pictures for illustration purposes only and may not be actual. WAC for qualified buyers. *Finance rate with approved credit. Subject to credit approval and residency restrictions. See retailer for details. Expires 4/30/19. Or 1.9% for up to 72 mos. New 2019 Q50 LUXE. VIN: JN1EV7AP4KM519675. Model 90519. 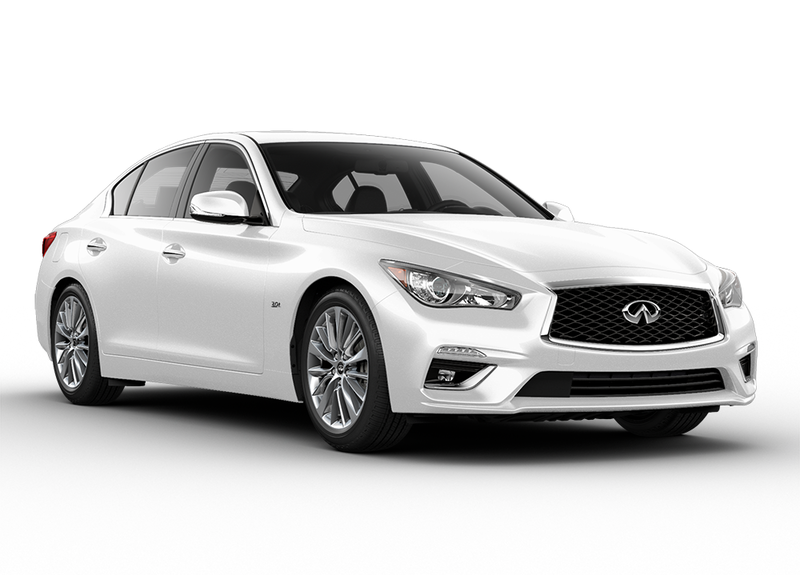 Lease the 2019 Q50 LUXE for $299/month for 39 months, 10k miles per year. Zero down payment excludes $700 acquisition fee, 1st months payment, state and local tax, tag, title, registration and license fees, and $995 dealer fee. Price includes owner loyalty rebate. No security deposit required. Two or more vehicles are available. MSRP $40695. Must take delivery from new retailer stock. Pictures for illustration purposes only and may not be actual. WAC for qualified buyers. *Finance rate with approved credit. Subject to credit approval and residency restrictions. See retailer for details. Expires 4/30/19. New 2019 QX50 LUXE. VIN:3PCAJ5M19KF133734. Model 81319. 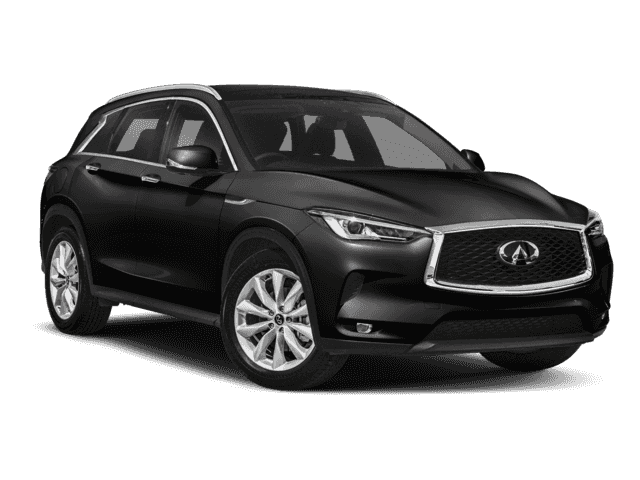 Lease the 2019 QX50 for $399/month for 39 months, 10k miles per year. Zero down payment excludes $700 acquisition fee, 1st months payment, state and local tax, tag, title, registration and license fees, and $995 dealer fee. Price includes owner loyalty rebate. No security deposit required. Two or more vehicles available. MSRP $42295. Must take delivery from new retailer stock. Pictures for illustration purposes only and may not be actual. WAC for qualified buyers. *Finance rate with approved credit. Subject to credit approval and residency restrictions. See retailer for details. Expires 4/30/19. Disclaimer: 1.9% APR Financing for up to 72 months on new 2019 QX50. Must take delivery from retailer stock. Down payment may be required. Subject to residency restrictions. Subject to INFINITI Financial Services credit approval. Not all buyers may qualify. May not be combined with all incentives. See dealer for details. Offer ends 04/30/19. Or 0% for up to 72 mos. New 2019 QX80 LUXE. VIN: JN8AZ2NF4K9686503. Model 83119. 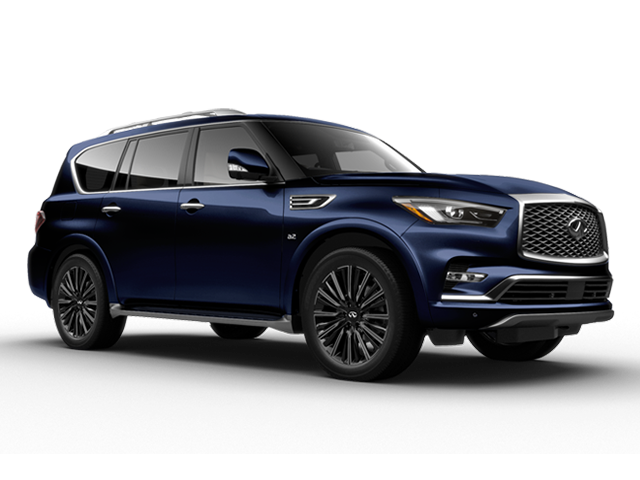 Lease the 2019 QX80 for $729/month for 39 months, 10k miles per year. Zero down payment excludes $700 acquisition fee, 1st months payment, state and local tax, tag, title, registration and license fees, and $995 dealer fee. Price includes owner loyalty rebate. 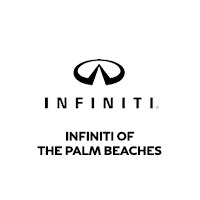 Current INFINITI owners/lessees or current owners/lessees of any Escalade, Navigator, Suburban, Expedition, Tahoe, or Sequoia or Yukon only, are eligible for the Loyalty Conquest on MY19 QX80 of $3,000 on Retail purchase or $2,000 on leases. Valid through 4/30/19. Down payment may be required. Documentation of vehicle ownership is required to qualify. No security deposit required. Two or more vehicles are available. MSRP $66795. Must take delivery from new retailer stock. Pictures for illustration purposes only and may not be actual. WAC for qualified buyers. *Finance rate with approved credit. Subject to credit approval and residency restrictions. See retailer for details. Expires 4/30/19. Disclaimer: 0% APR Financing for up to 72 months on new 2019 QX80. Must take delivery from retailer stock. Down payment may be required. Subject to residency restrictions. Subject to INFINITI Financial Services credit approval. Not all buyers may qualify. May not be combined with all incentives. See dealer for details. Offer ends 04/30/19. New 2019 Q60 LUXE. VIN: JN1EV7EK5KM231114. Model 92519. 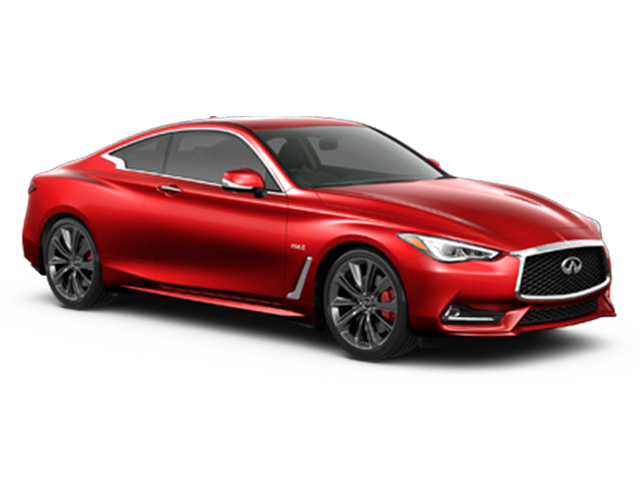 Lease the 2019 Q60 for $459/month for 39 months, 10k miles per year. Zero down payment excludes $700 acquisition fee, 1st months payment, state and local tax, tag, title, registration and license fees, and $995 dealer fee. Price includes owner loyalty rebate. No security deposit required. Two or more vehicles are available. MSRP $45470. Must take delivery from new retailer stock. Pictures for illustration purposes only and may not be actual. WAC for qualified buyers. *Finance rate with approved credit. Subject to credit approval and residency restrictions. See retailer for details. Expires 4/30/19. 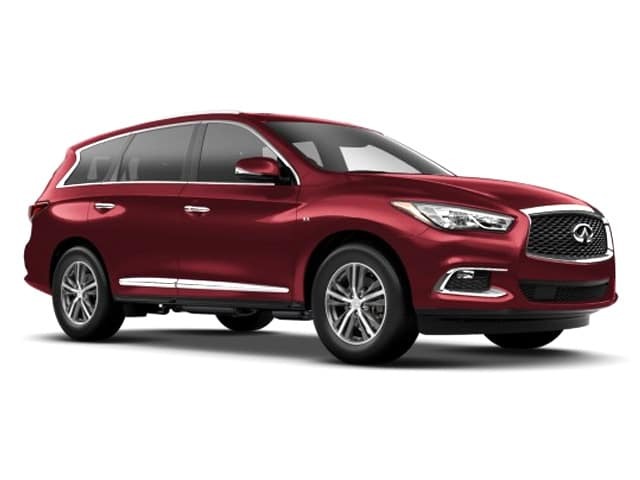 New 2019 QX60 LUXE ESSENTIAL. VIN:5N1DL0MNXKC525613. Model 84719. Lease the 2019 QX60 for $429/month for 39 months, 10k miles per year. Zero down payment excludes $700 acquisition fee, 1st months payment, state and local tax, tag, title, registration and license fees, and $995 dealer fee. Price includes owner loyalty rebate. No security deposit required. Two or more vehicles available. MSRP $49920. Must take delivery from new retailer stock. Pictures for illustration purposes only and may not be actual. WAC for qualified buyers. *Finance rate with approved credit. Subject to credit approval and residency restrictions. See retailer for details. Expires 4/30/19. Disclaimer: 2.4% APR Financing for up to 60 months on new 2019 QX60. Must take delivery from retailer stock. Down payment may be required. Subject to residency restrictions. Subject to INFINITI Financial Services credit approval. Not all buyers may qualify. May not be combined with all incentives. See dealer for details. Offer ends 04/30/19.